Blog | Your First Choice for First Aid CPR AED & Emergency Management Solutions | Making first aid a part of everybody's life. 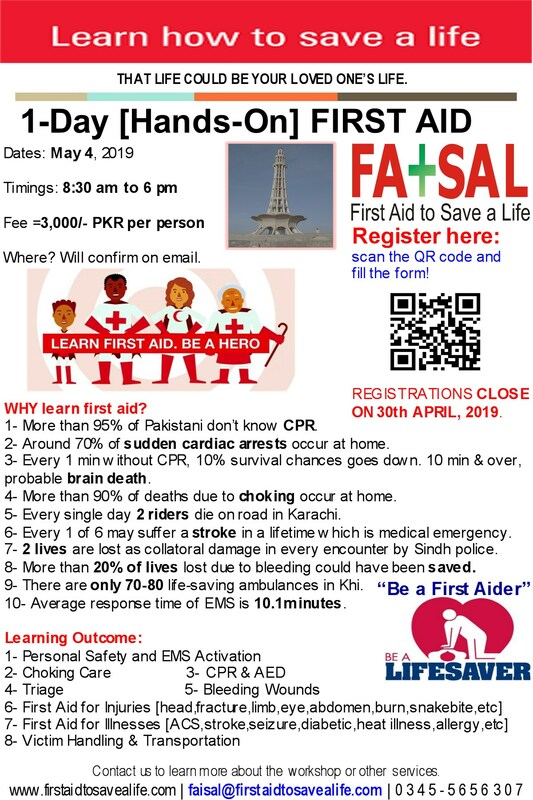 First Aid to Save a Life (FATSAL) is pleased to announce 1-day “CPR, AED & First Aid” hands-on training in Lahore on May 4, 2019. The course fee is =3,000/- PKR per person inclusive of course notes, certification, refreshment/s & lunch. 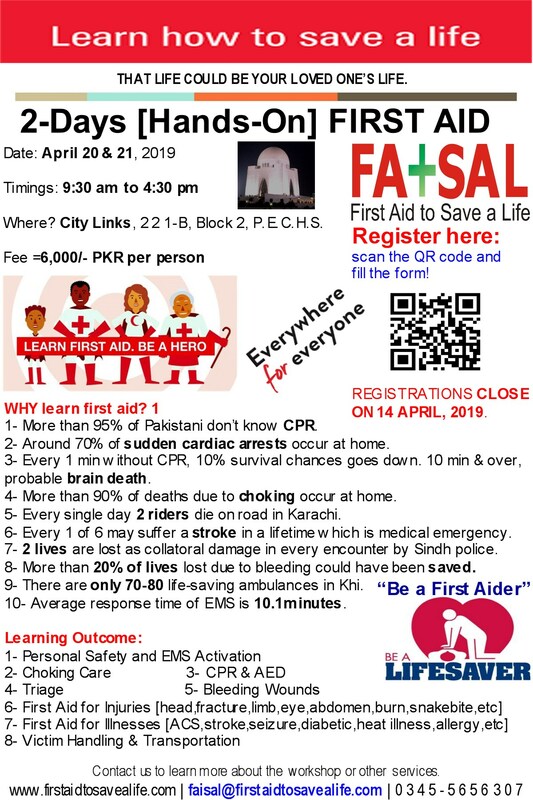 The last date to register and pay course fee is: April 30, 2019. This training program is designed specifically for the first aid care provider and exceeds local and industry requirements. Any adult who would like to learn first aid skills is encouraged to learn lifesaving skills. 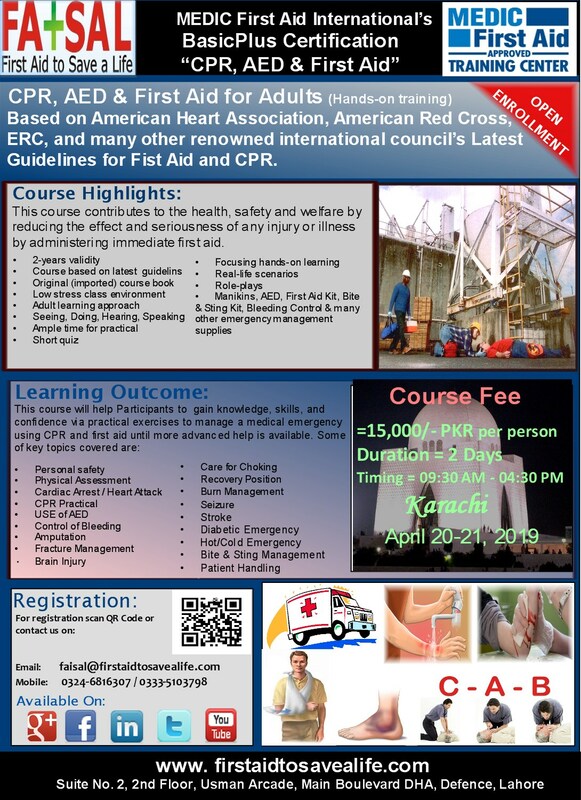 This course is based on the current guidelines for CPR and First Aid.